Welcome to our new blog! 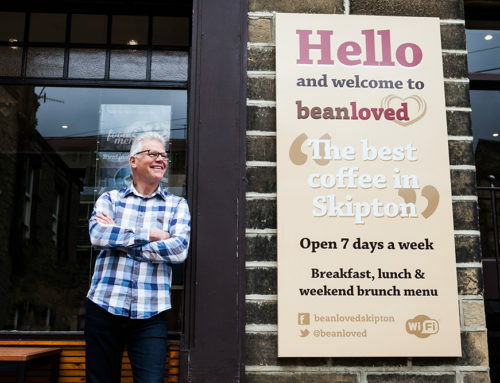 We’d love you to stop by and have a read about what goes on behind the beans here at our 10 year old coffee bar at No.17 Otley Street! There’ll be team news, supplier spotlights, insights into our food and drink and some special guests to introduce you to. 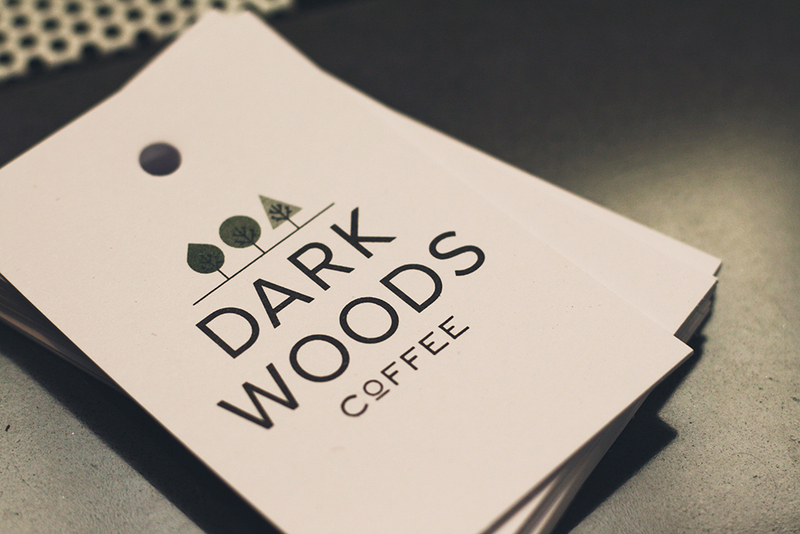 We thought we’d start off with a spotlight on our coffee roasters, Dark Woods Coffee. 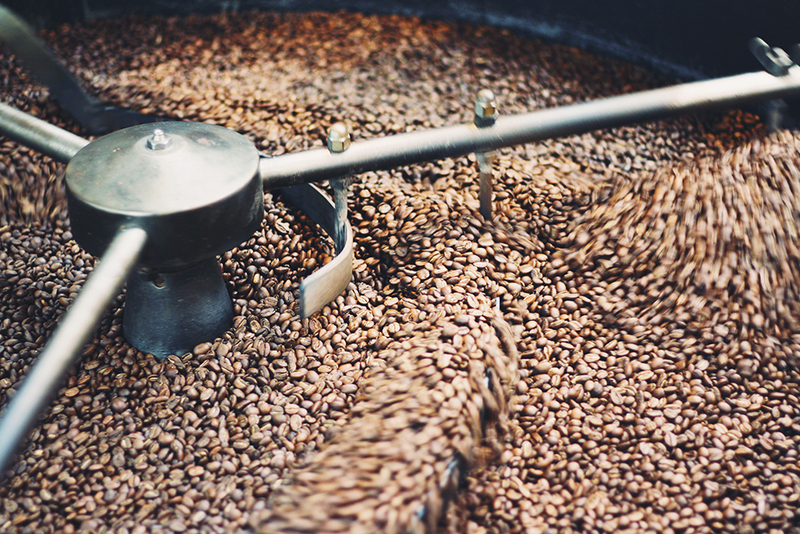 It’s our passion (translate: obsession) to make sure our customers enjoy the best possible coffee in every single cup. 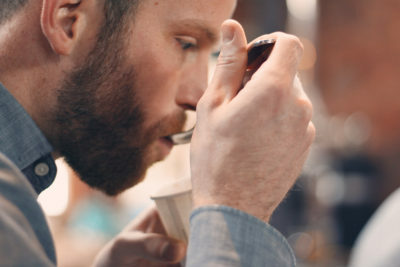 And that doesn’t come without time, experience and commitment to create the Bean Loved signature blend that’s absolutely right for our customers. After all we’re not known as serving up the best coffee in town just by chance! So we thought we’d tell you a little bit about who roasts our beans and why we have chosen them as the roasters who craft the flavour in the coffee we serve. Nestled in the deepest, darkest (coffee pun intended) West Riding of Yorkshire is the hub of Dark Woods Coffee, just on the outskirts of Huddersfield. We’ve known Damian, Head Roaster, for a number of years. He worked for a large well-respected company, in charge of roasting coffee for some of the most prestigious accounts in the country. 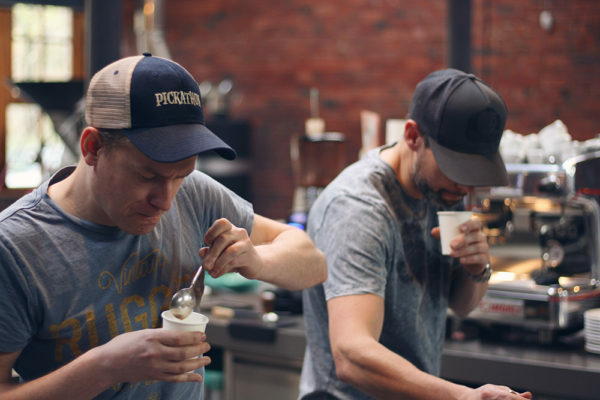 And in the same village, Paul ran Coffee Community, providing barista training and consultancy to some of the biggest coffee brands worldwide, and finally Ian, based in the next village, was fighting the corner for the coffee farmers, running a number of charities and ethical companies. So with all this knowledge and experience combined, we knew our coffee with Dark Woods would be in safe hands. Dark Woods share our passion for coffee – it really is that simple. 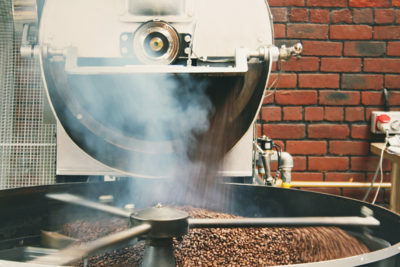 And whilst the complexities of flavour in coffee exist, these experienced roasters know that the process of crafting that flavour doesn’t have to be over complicated in order to get the best results. Home to their restored 1950’s German drum roaster – a Probat UG22 – the roastery sits on the River Colne, alongside the Huddersfield Narrow Canal. Roasting in small batches, this gas-fired drum roaster has roasted more coffee beans than we’ve had….erm, flat whites! Oooh if roasting drums could talk! Dry stone walls and the Yorkshire moors surround this artisan business and with reminders of its industrial heritage – with 200 year old canal locks, old mills and weirs – Dark Woods’ mill location is right at the heart of the historical manufacturing stories of the area. We needed an espresso blend that works for all coffee drinks and palates; something that can be enjoyed as a latte and works equally well in a flat white or espresso. So our focus was balance in flavour, with the key aim of bringing together all the typical flavours we know a good espresso blend should give us; chocolate, caramel as well as adding depth and body and finally looking for the right coffee to add complexity in fruit sweetness and acidity. After a few attempts to perfect this blend, we feel our coffee is tasting better than ever! But it doesn’t stop here….we’re constantly reviewing our signature blend to make sure it’s quality and flavour is consistent. So our trips over to see our colleagues at Dark Woods to taste new harvest coffee are a regular occurrence to ensure this harvest is just as good as the last. So keep tasting, keep drinking and we’ll keep working hard to bring you the best possible coffee flavour.